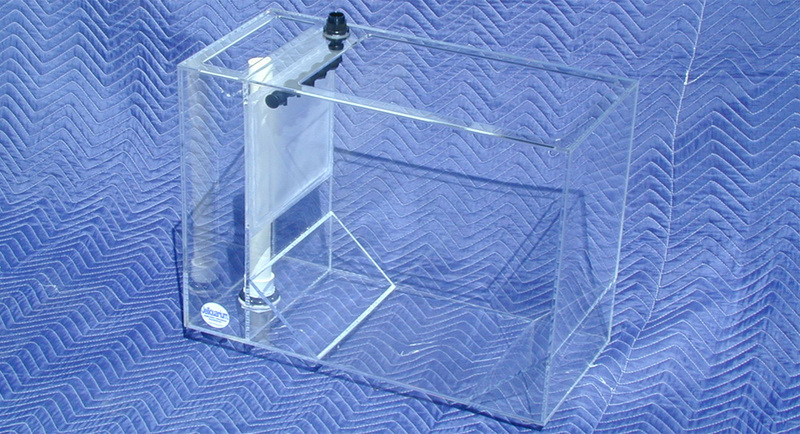 Explorer Tank, designed to gently rotate and keep in suspension juvenile jellyfish or seahorse fry. Rotation chamber has a faceted bottom. Water exits thru a wide screened opening that separates the drain chamber. Water is returned via a Spraybar and discharged across the exit screen gently pushing away loitering larve. This is a passive tank and requires a source of water and a seperate drain system.